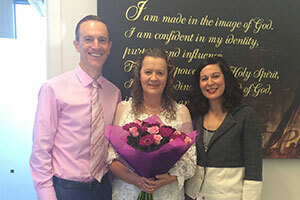 Today we farewelled Teacher Jalaine – Our warm, friendly, bubbly administrator. Jalaine has been a part of the school since 2010, faithfully serving us in the office and keeping things running! Her pink office, her love of coffee and quilting, and all the grazed knees she has attended to, will not be forgotten! 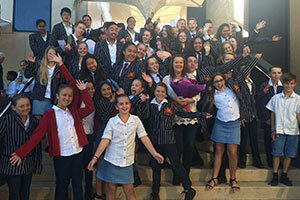 We enjoyed a beautiful assembly to honour her and welcome Mrs Dorothy Botha. As a parting gift, Jalaine presented the school with a quilt made specially for the students when they need some comfort in the sickbay. Thank you Jalaine – and Dorothy, we are so excited to have you join us!